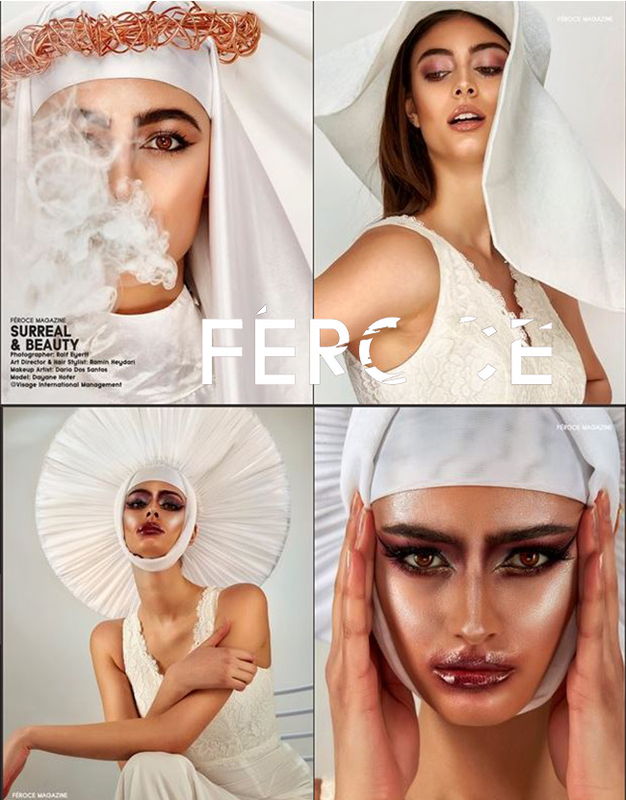 Feroce Magazine is an creative art magazine from Scotland. So we are proud to see our amazing editorial with Dayane Hofer published. We still wait for the tearsheets to show the pictures, but we can show this content view. Amazing creative team Dario Dos Santos Makeup and Ramin Heidary creative style, idea and development.